Let’s face it: Text messages are an anachronistic pain in the rear. They don’t support read receipts, group messaging features, or the animated stickers your pals share on apps like Facebook Messenger, WhatsApp, and WeChat. They depend on a cellular connection — if you’re roaming or you don’t have a signal, you can’t send or receive messages — and they’re annoyingly limited to 160 characters in length. Despite all those limitations, and predictions of its demise, text messaging, also known as SMS (Short Message Service), remains incredibly popular. At the end of 2010, an estimated 3.5 billion smartphone users (or roughly 80 percent of cell subscribers) regularly sent text messages, which is partly why companies like Google, Samsung, and Sprint aren’t trying to fight it. Instead, they’re teaming up with the cellphone industry’s governing bodies to develop a modern take on texting — Rich Communication Services (RCS), which combines the best of Facebook Messenger, iMessage, and WhatsApp into one platform. 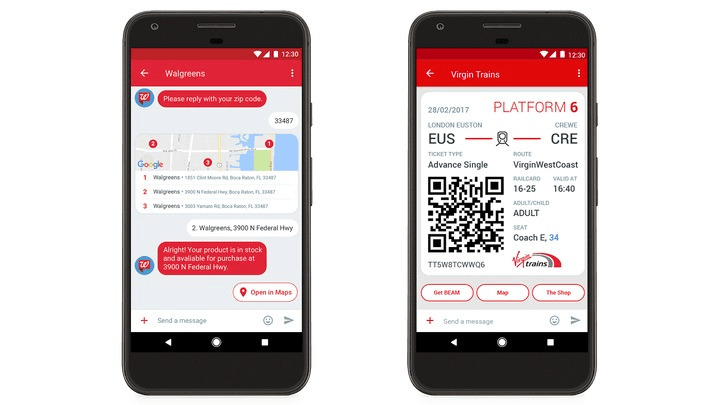 So what is RCS messaging, and how does it work? Here’s everything you need to know. The idea, at least initially, was to transmit texts via the signaling systems that controlled telephone traffic. ETSI engineers developed a framework that was both small enough to fit into the existing signaling paths (128 bytes, later improved to 160 seven-bit characters) and modular enough to support carrier management features like real-time billing, message rerouting (i.e. routing messages to a recipient other than the one specified by the user), and message blocking. Despite the explosive growth of SMS, it didn’t evolve all that much from the systems of the early ’90s. Even as phone form factors changed and Apple’s iPhone popularized the modern-day touchscreen smartphone, SMS remained the same — right down to the 160 character limit imposed at its inception. RCS promises to change all that. Rich Communication Services, sometimes marketed as Advanced Communications, Joyn, and Message+, is a protocol intended to succeed SMS. Formed by a group of industry promoters in 2007 and brought under the wings of the GSM Association in 2008, it envisions a platform that’s significantly more rich and capable than today’s SMS. RCS has nearly limitless potential, but the Universal Profile, a global RCS spec published by the GSMA in 2016, lays out a few of the possibilities. 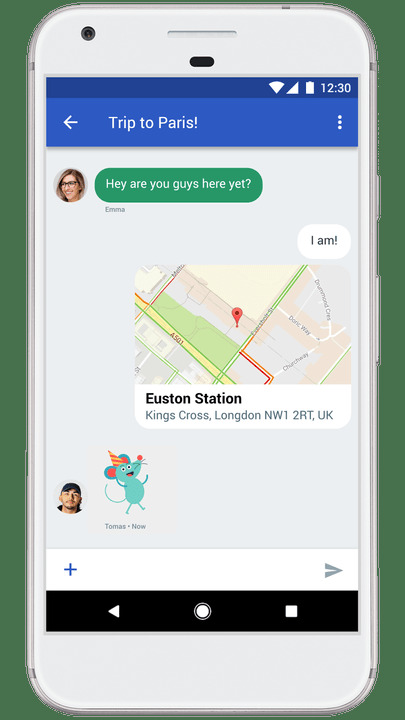 RCS users can share their location with each other, or attach high-resolution pictures, videos and audio to messages. They can create and archive group chats, or remove members from group chats. They can even enable Facebook Messenger-like read receipts and typing indicators that show exactly when someone has read a message. But that’s the tip of the iceberg. The RCS standard also supports Skype-like internet video calls and audio messages, and private chats between two parties. RCS implements client-to-server encryption, and uses a data connection instead of carriers’ signaling systems so that messages can be sent or received via Wi-Fi instead of cellular. It’s hardware agnostic, too — unlike Apple’s iMessage, RCS is designed to work across all phones and software. Here’s the pitch: When RCS is widely adopted, you’ll be able to enjoy all the features of WhatsApp, Line, Facebook Messenger, iMessage, and WeChat without having to create an account, sign into a social network, or worry about whether or not someone in your group chat has the right app or phone. But not everyone has been swift on the uptake. Despite the advantages RCS affords over SMS, cell service providers haven’t embraced it. As of 2017, just shy of 49 operators have launched RCS, including KT and SK Telecom in South Korea and Vodafone and Deutsche Telekom in Europe. The list of hardware manufacturers is a bit more promising — Alcatel, Asus, HTC, LG, Lenovo, Samsung, and ZTE have pledged to support RCS in their devices, among others — but so far, Google and Microsoft are the only two software providers to support the Universal Profile. T-Mobile and Sprint, two of the most ardent supporters of RCS in the U.S., implemented the spec as early as 2013. But historically, taking advantage of it was easier said than done — Sprint’s version of RCS was initially only available through its Messaging Plus app on the Pixel XL, Nexus 6P, and select LG and Nexus devices. For years on T-Mobile, the only phones that supported the carrier’s pre-Universal Profile RCS were the Samsung Galaxy Prime, Galaxy S5, and Galaxy S6. That’s mostly because when the RCS spec was first proposed in 2007, implementing it required quite a bit of effort on the part of OEMs. RCS isn’t just a network spec — phones and messaging apps have to support it on the software level, meaning old devices have to be updated retroactively. Then there’s the fact that carriers aren’t bound to a single flavor of RCS, and that different implementations of RCS aren’t necessarily compatible with one another. AT&T in the U.S., for example, implemented an older RCS standard that doesn’t work with T-Mobile or Verizon’s version. That’s opposed to SMS, which works reliably pretty much everywhere. But Google, the search giant behind Android, thinks it has the solution. Google sees RCS as the open, cross-platform answer to proprietary services like iMessage, which only works on Apple’s phones, tablets, and computers. In 2015, the company acquired Jibe, a messaging service which developed an RCS Android client based on the Universal Profile. Shortly after, it launched the Jibe Hub, a cloud-hosted platform that connects cellphone carriers’ networks to the global RCS backbone. The result is an end-to-end software platform that supports legacy systems like SMS and MMS, third-party RCS networks, and RCS-compliant clients on any smartphone or network operator. Google says new features can be patched in server-side, on the cloud, and that future Android smartphones will ship with support built in. A few of Jibe’s features have an enterprise angle. Jibe’s Early Access Program, which launched earlier this year, provides a framework for companies to learn and build with Jibe, so that their texts can offer richer information to customers as more carriers adopt the RCS profile. 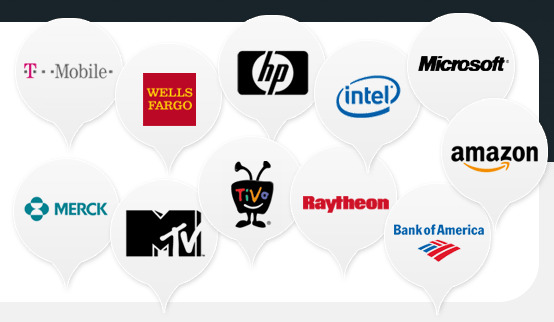 Already, Virgin Trains, Walgreens, BlaBlaCar, Gamestop, G2A.com, IHG, LexisNexis Risk Solutions, Papa Murphy’s, Philips, Sky, Sonic Drive-In, Time Inc., 3C, CLX Communications, Experian Marketing Services, MessageBird, mGage, Mobivity, Movile, Vonage through Nexmo API Platform, OpenMarket, and Waterfall have agreed to take part in Jibe’s early experiment. Google has laid the groundwork for RCS on the smartphone side of the equation, too. In February 2017, it rebranded Messenger, the default texting app on some Android devices, to Android Messages, and teamed up with a range of Android smartphone makers, including LG, Motorola, Sony, HTC, and ZTE, to make Android Messages the default messaging app on their smartphones. Google’s efforts have paid dividends. In November 2016, Sprint rolled out RCS support for Android via Android Messages, becoming the first carrier to install it as a default app on future handsets sold in its retail operations. Google also recruited Telenor, a carrier with more than 214 million subscribers in Asia and Europe, to deploy Universal Profile-based RCS in early 2017. All that said, there’s a lot of work left to be done. In the U.S., T-Mobile and AT&T have implemented versions of RCS that only work on their respective networks; they don’t conform to the Universal Profile. Sprint’s does, but it isn’t available on all devices. The final version of RCS isn’t expected until late 2017. But there’s reluctance on the part of some carriers to adopt RCS, Shirey said. The other elephant in the room: Apple. The Cupertino company hasn’t shown a willingness to partner on RCS anytime soon. Text messaging that’s akin to iMessage is a fantastic idea, but if tens of millions of iPhone users can’t join RCS chats, participate in RCS video chats, or see RCS attachments, said Shirey, a large part of the appeal is lost.